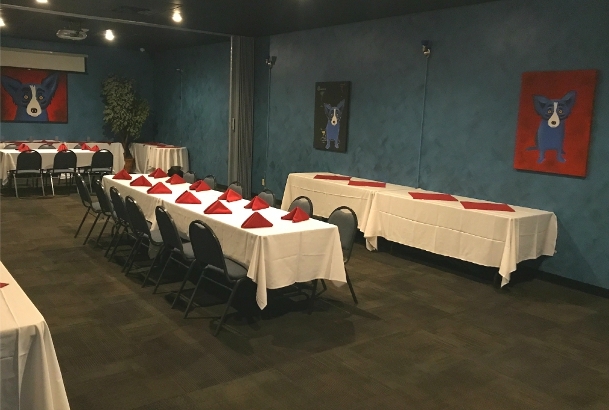 We are pleased to feature our full service, private dining facilities available for your next reception, banquet, business meeting, or social gathering. It would be our pleasure to help plan your next event and customize your menu to your specific request. Our spaces accommodate from 12 to 200 guests for your event. We are equipped to handle your audio/visual, whether for a presentation or slide show, the room is equipped with state of the art equipment at no extra charge. Whatever the reason, business or pleasure, you and your guest will have a wonderful time and excellent dining experience.